A dedicated bread maker can save you a lot of time in the kitchen if you love homemade bread. Finding the machine that’s right for you and your family can be a challenge, so we’ve researched the best ones from the top manufacturers across multiple categories. Our picks include high-end bread makers for serious cooks, compact units for users with limited counter space, and even models with gluten-free cycles for those with dietary restrictions. For each category, we looked at relevant features like the number of settings, durability, capacity, and – most importantly – the taste and quality of the finished bread. Read more about our methodology. If you want the best bread machine available, then the Zojirushi BB-PAC20 Home Bakery Virtuoso is the one to buy. With its large capacity and excellent suite of features, the Home Bakery Virtuoso consistently turns out delicious, evenly-baked loaves time after time. If the Zojirushi Home Bakery Virtuoso is overkill for your needs and budget, then look no further than the Panasonic SD-YD250. This bread machine consistently bakes delicious, high-quality bread and features an extra-large baking pan for bigger loaves, making it a great (and affordable) choice for families. A good bread machine doesn’t have to cause sticker shock, as the super-affordable Oster Expressbake proves. This lightweight bread maker has a generous 2-pount capacity, a solid set of features, and great baking capabilities, all made even more impressive by its attractive price. Another great budget machine is the Sunbeam 5891, which offers almost all the features and settings you’d want from a modern bread-maker along with a family-friendly two-pound capacity (and not to mention delicious, evenly-baked loaves) for less than $50. If your kitchen appliances have to compete for a place on your counter, then the compact T-fal PF311E ActiBread is a high-quality bread machine that won’t hog space. Despite its size, this bread maker still offers an impressive two-pound capacity and wide variety of settings, including a gluten-free cycle. If kitchen space is really tight, then the BB-HAC10 Home Bakery from Zojirushi is the model for you. This top-rated bread machine is one of the smallest you can buy, but what it lacks in capacity it makes up for in its ability to consistently bake delicious, high-quality loaves. 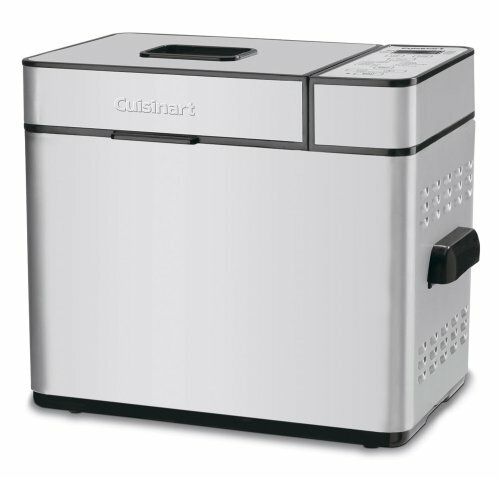 Bread machines with gluten-free cycles are becoming more and more common these days, but the Cuisinart CBK-100 excels at this task, delivering some of the best results one can get when making gluten-free bread right at home. Modern bread makers feature an impressive array of features and programs, but the customizable Breville Custom Loaf stands above the rest: along with 13 pre-set cooking cycles, the BBM800XL lets you program your own recipes right into the machine so they’re ready to go at the press of a button. A bread machine is essentially a mixing bowl and small oven built into a single appliance that mixes dough with motorized paddles and then bakes it inside a 1- to 2.5-pound pan. Single-paddle machines feature smaller pans which bake taller, almost cube-shaped loaves, whereas double-paddle units bake longer loaves that are more like bread you’d buy in a store. As homemade bread doesn’t contain preservatives like store-bought bread, it is generally made to be eaten within two days, so a two-pound loaf is enough for an average family. For just one or two people, a smaller 1- or 1.5-pound machine should suffice. Many bread pans today are also removable and feature non-stick coatings for easy cleanup. Durability is naturally a consideration as well: The pan and paddles are typically the first thing to wear out, so a decent warranty and the ability to easily buy replacement parts for your bread maker is important. Bread makers might seem like straightforward appliances, but not all are created equal. You want a machine that will deliver consistent results and won’t fail to properly mix ingredients or evenly bake a quality loaf. All of our top picks knead and bake bread evenly for a nice, uniformly-browned crust and create loaves that aren’t too dense, over-proofed, or oddly shaped. Along with baking various types of bread, many modern bread makers can also make jam or cream, and most also have a no-bake cycle which lets you mix dough (such as for cookies or pizza) which you can then remove and cook in your oven. What and how many pre-programmed cycles you need depends on what you plan to use your bread maker for. Other settings found on today’s bread makers include programs for making whole wheat and gluten-free breads – a must-have for those with dietary restrictions – and some higher-end units also allow you to create and save your own custom cooking cycles. Another important feature is a delay timer which lets you add the ingredients and then set when the machine will start making the bread so you can have a warm loaf ready at a time of your choosing. Home bread machines range in price from around $50 to upwards of $250 depending on size, build quality, and features like cooking settings and programmability. 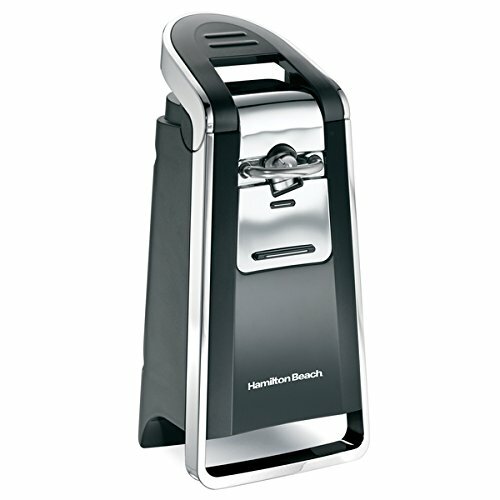 For $50 to $100, you can expect to get a simple yet solid bread maker – usually, but not always, a single-paddle design that makes taller cube-shaped loaves – which offers a reasonable amount of pre-programmed baking cycles. Moving higher up the price spectrum gets you more features like a higher number of pre-set baking cycles (such as for making gluten-free bread) as well as the ability to program your own custom settings. 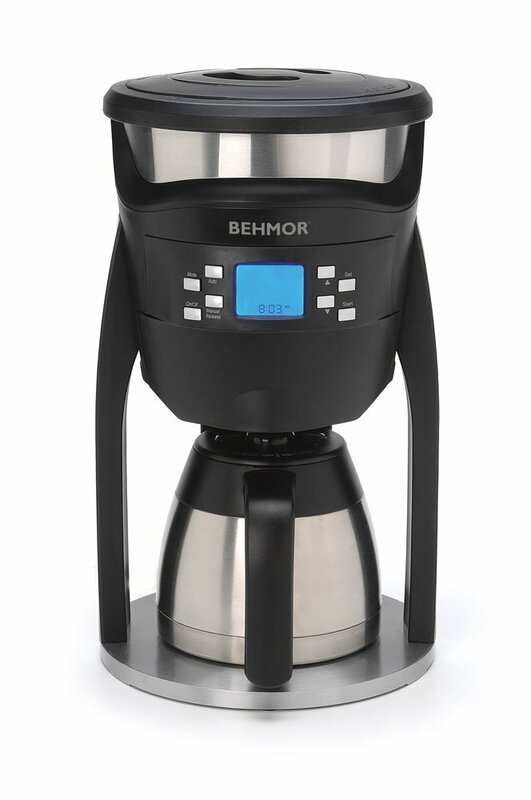 More expensive machines also boast improved build quality, with attractive stainless steel construction rather than the standard black or white plastic seen on most cheaper appliances. These larger, more durable, and more feature-rich bread makers vary widely in price and will set you back between $100 and $250, with the more expensive units offering additional settings as well as extra conveniences like ingredient dispensers or heated lids. The Zojirushi BB-PAC20 Home Bakery Virtuoso doesn’t come cheap, but it’s the bread maker to buy for serious home chefs who bake a lot of bread and want the best machine available. The Home Bakery Virtuoso can whip up almost any kind of bread you’d want to cook in your kitchen, including gluten-free loaves, and can also be used to make all types of dough as well as homemade jam. Its durable two-pound pan and double-paddle design consistently bake high-quality traditionally-shaped loaves, while its built-in lid heater delivers a tasty, evenly-browned crust every time. Consistently bakes quality bread. The most important feature of a home bread machine is its ability to consistently make delicious loaves, and the Home Bakery Virtuoso delivers. The Zojirushi mixes, kneads, and bakes extremely well, and the heated lid ensures a crisp, evenly-browned crust all over. Excellent suite of programs and settings. This bread maker can cook up almost any loaf you would want to make at home, from whole wheat to gluten-free bread. A no-bake cycle lets you mix dough and the machine can make jam as well. You can also program and save up to three of your own custom cooking cycles. Well-constructed and durable. Zojirushi appliances are designed and manufactured in Japan and the build quality of the BB-PAC20 does not disappoint. 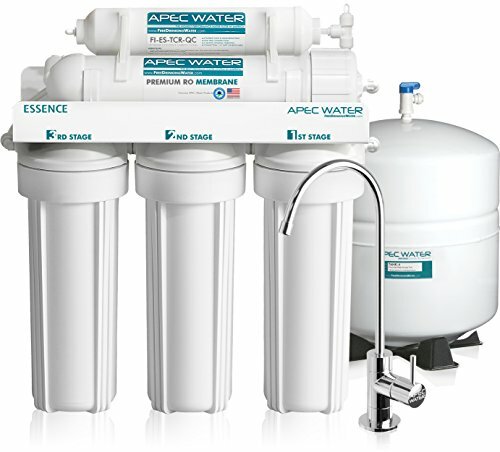 The machine is built to last, with users reporting years of regular use without breakage. Runs quietly for its size and power. Despite its size and powerful motor, the Home Bakery Virtuoso runs quietly and smoothly, unlike some machines which are excessively noisy and have a tendency to “walk” around the counter when kneading dough. Large and heavy. At 18 inches long and 22 pounds, the Home Bakery Virtuoso is no small machine. One would naturally expect a bread maker of this capacity and build quality to be fairly large and heavy-duty, but buyers with limited counter space may want a more compact unit. Quite expensive. 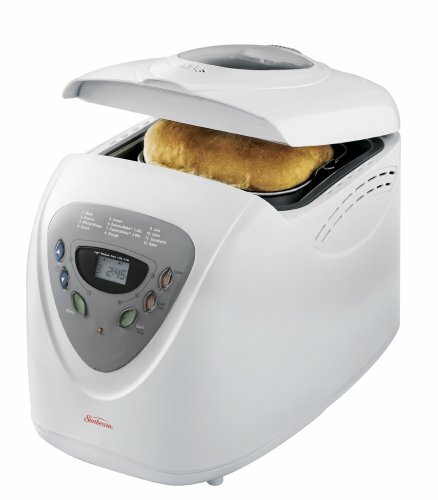 The BB-PAC20 is a high-end bread maker and there’s no denying that it’s one of the most expensive models on the market. Nonetheless, owners report high satisfaction with their machines and feel that the features and bread quality are worth the price. No ingredient dispenser. 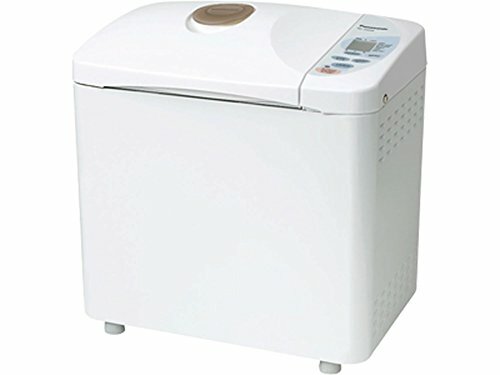 Despite its array of features, the Zojirushi does lack some conveniences found on other high-end bread makers. Notably, his unit has no yeast or ingredient dispensers, meaning you must lift the lid and manually add these during the mixing process. Panasonic is a name everyone is familiar with when it comes to home appliances, so it should come as no surprise that its SD-YD250 is one of the best and most feature-laden bread machines on the market today. And, unlike other top-rated bread makers, the Panasonic won’t cost you an arm and a leg – nor will it take up a ton of room in your kitchen. Despite its relatively compact size, the SD-YD250 can still bake 2.5-pound loaves thanks to its over-sized removable pan, and a convenient dispenser automatically adds yeast to the dough during the mixing process. Excellent capacity. The Panasonic SD-YD250 can bake loaves from 1.5 to 2.5 pounds in size, making it a great choice for bread-loving families. This is even more impressive given the unit’s size: at 14 x 13 x 9 inches, this machine doesn’t hog counter space like many other high-capacity bread makers. Ease to use and clean. The LED interface is simple and intuitive, and the removable bread pan features a non-stick coating which means little to no crust stuck to the inside of the machine when you’re done cooking. This makes for quick and easy cleanup – not to mention better-looking loaves. Consistently makes great bread. 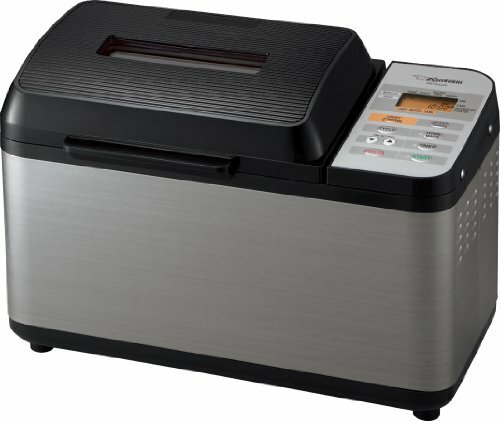 Users say that the Panasonic bread maker, along with being super easy to use, produces excellent results in the kitchen. No matter which loaf size or settings you are using, the Panasonic SD-YD250 turns out tasty, soft, and evenly-baked bread. Built-in dispenser automatically adds yeast to the mix. One unique convenience on this machine is its built-in yeast dispenser which automatically adds your yeast to the dough during the mixing process so you don’t have to. Bear in mind, however, that it can only dispense up to two teaspoons of yeast at a time. Single-paddle design bakes tall loaves. The Panasonic SD-YD250’s bread pan is quite tall and the machine uses a single paddle to mix dough, resulting in more vertically shaped, almost cube-like loaves. This isn’t necessarily a drawback but is something to be aware of for buyers who prefer a wider, more traditional loaf. Not as durable as some high-end models. A few owners experienced durability issues with the SD-YD250, with newer units seeming curiously more prone to failure. Some who had problems also note that Panasonic’s customer support is sorely lacking. No gluten-free setting. One glaring absence on this bread maker is the lack of a dedicated gluten-free baking cycle, especially considering that this feature is now found on pretty much all newer machines – including ones that are considerably cheaper. Whether you’re new to the world of homemade bread or are just looking to replace your old machine and don’t want to spend an arm and a leg, the Oster CKSTBRTW20 Expressbake is hard to beat for the price. This budget-friendly bread maker boasts excellent capabilities, from its 2-pound capacity to its ability to cook up most types of bread and dough, and does it all for less than $50. The Expressbake holds its own with bread machines that cost twice as much and is a solid choice for new and veteran home chefs alike. Great set of features for a great price. The Oster CKSTBRTW20 can bake loaves between one and two pounds in size, offers 12 different pre-set settings for bread, dough, and jam, and features a removable non-stick pan. Its features and capacity easily put this machine on par with many that cost twice as much or more. Consistently makes good bread, dough, and jam. Users say that the Expressbake consistently cooks delicious bread, which is naturally the most important thing to look for in a quality machine. Owners also note that its no-bake dough and jam cycles produce excellent results. Compact and lightweight. The Oster bread maker measures 14 x 14 x 13 inches, so it won’t take up a ton of space in your kitchen compared to some wider models. It’s also light enough, at just eight pounds, to easily move and stow when you want to clear some room on the counter. Easy to operate and maintain. The Expressbake features a simple yet intuitive interface which lets you easily select baking cycles, loaf size, crust color, and delay time, while a large viewing window allows you to monitor the progress of the bread as its cooking. The pan’s non-stick coating makes cleanup go much more quickly as well. Rather plain-looking plastic construction. This is a budget-friendly, no-nonsense bread maker and its rather plain-looking plastic housing shows it. This doesn’t affect function, but buyers who like aesthetically-pleasing appliances won’t have much to look at here. May “walk around” when kneading heavier dough. Although the Oster is a light and fairly compact device, there is a tradeoff when it comes to stability. This machine has a tendency to move around on the counter during the mixing cycle, especially when kneading heavier doughs, so you may want to keep an eye on it during this process. Some users report over-proofed loaves. A few owners state that – perhaps due to the machine’s taller pan – some loaves occasionally come out over-proofed and collapsed. While still edible, these results are understandably displeasing to the eye, although the vast majority of reviewers had no problems with this. No dedicated gluten-free setting. The Expressbake unfortunately lacks a dedicated program for making gluten-free bread. Users report mixed results when experimenting with gluten-free recipes, with some having success with certain flours and others not having much luck. 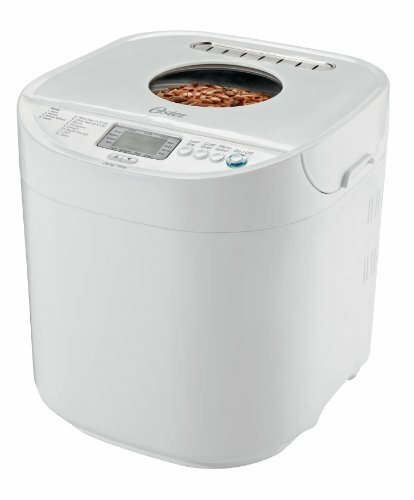 The Sunbeam 5891 programmable bread maker is our second favorite value pick and, much like the Oster Expressbake, rivals machines that are considerably more expensive. It can handle almost any type of bread or dough you need to make and its removable non-stick pan can bake up to two-pound loaves, while its simple interface is all but foolproof. It’s also a solid alternative to the lightweight Expressbake for buyers who want a larger and sturdier budget-friendly bread machine that won’t walk off the counter when kneading heavier dough. Excellent price-to-performance ratio. At under $50, the Sunbeam programmable bread maker delivers a lot of performance for the money. It’s 12 bread functions, delay timer, two-pound capacity, and sturdy build quality compete with machines that cost twice as much. Turns out tasty, evenly-baked bread. The Sunbeam 5891 boasts one of the highest rates of customer satisfaction of all of our picks, with owners reporting that this appliance consistently turns out excellent, evenly-baked loaves. Users also note that the machine handles gluten-free recipes well even though it has no gluten-free cycle, unlike many other machines that lack this setting. Nearly foolproof operation. Along with baking great bread, the Sunbeam is dead-simple to use. 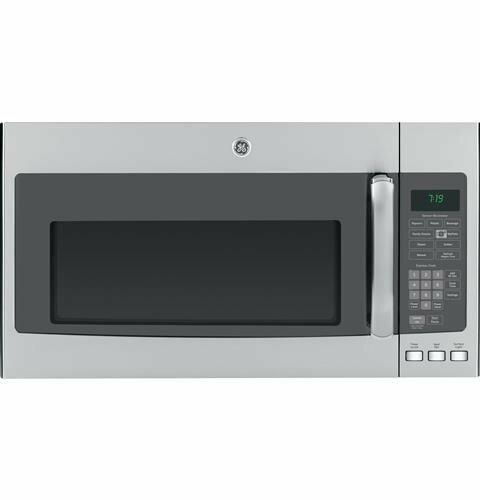 Reviewers say that the push-button LED interface is all but foolproof to figure out, and the front-facing control panel (compared to most other units where the controls are located on the top) is also a bonus for shorter people or higher countertops. Pan and paddles are easy to remove and clean. The two-pound bread pan is removable and has a slick non-stick coating, so no stubborn bits of baked crust are left behind. This makes hand-washing the pan less of a hassle and also allows the loaf to easily separate with no crust tearing off. Included recipe book leaves a lot to be desired. Most bread machines include a handy recipe book – some good, some rather basic – but the booklet that comes with the Sunbeam machine is particularly bad. This shouldn’t be a major concern for buyers, however, as recipes are readily available online. Large and heavy for a single-paddle design. For a bread maker that uses a taller pan and single paddle to mix and cook, the 5891 is considerably bulky at 15 inches long and almost 20 pounds. This is approaching the size and weight of many dual-paddle models which make the wider traditionally-shaped loaves that most people prefer. Quite noisy. The Sunbeam bread maker can be quite noisy, so it’s not likely that you will want to use the delay timer to run this at night. Users also state that, despite it’s heavier weight, the 5891 has a tendency to jerk around slightly while kneading dough, although it won’t walk around the counter like some lighter machines. Bread makers are heavy-duty appliances and are often quite bulky and heavy. If kitchen space is limited or if you want a light weight bread maker that can be stored when not in use, these compact units are just the ticket. Due to their reduced dimensions, these smaller bread machines generally bake taller and more cube-like loaves, but the trade-off in size and portability is worth it for those who need to maximize countertop real estate. A compact bread machine is a must-have when kitchen counter space is scarce, but a good down-sized model doesn’t have to skimp on capacity or features. 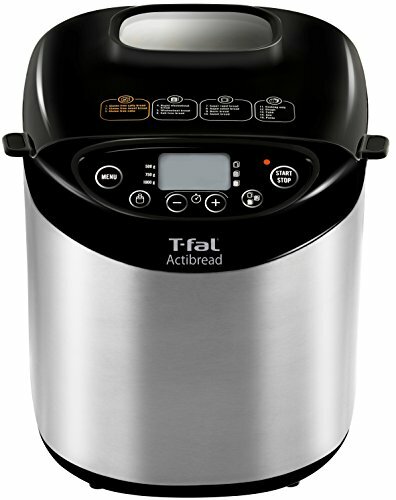 Despite its smaller size, the PF311E ActiBread from T-fal can still cook two-pound family-size loaves and comes packed with a great set of programs that lets you whip up almost any type of bread or dough you need to make at home – including three dedicated gluten-free cycles – and delivers great results every time. Nice stainless appearance and construction. Unlike many machines in the sub-$100 price range, the T-fal ActiBread features a slick-looking black and stainless steel housing. This offers a more sturdy-feeling build quality as well as a nicer overall appearance than all-plastic units. Great capacity for its size. The PF311E bread maker measures 12.5 x 16 x 14 inches and size and weighs in at 13 pounds, meaning it won’t take up too much room in a smaller kitchen and should be quite easy to store. Despite its smaller size, however, this model still offers a generous two-pound pan for making large family-sized loaves. Excellent suite of pre-programmed settings. The ActiBread features an impressive set of 15 baking programs, including settings for everything from normal white and wheat bread to French loaves as well as a 15-hour delay timer. It also notably offers three dedicated gluten-free programs for regular gluten-free bread, gluten-free cake, and gluten-free sweet bread. Makes it easy to bake great bread. Owners say that the ActiBread machine turns out excellent bread and could not be easier to use: simply add the ingredients, pick your loaf size and crust color, choose the bread type, and go. Cooks darker crust than other machines. One quirk with this machine is that it tends to bake crusts a bit darker than most other units. The crust comes out perfectly fine on the lightest setting, but you may want to avoid using the darker crust settings for certain bread types. Makes taller, cube-like loaves. Like other compact single-paddle bread makers, the T-fal trades overall size for a taller cooking pan. This results in more vertically-shaped cube-like loaves which, while not necessarily a problem, is still something to be aware of if you prefer the wider shape typically found in store-bought sandwich breads. When it comes to compact home bread makers, it doesn’t get much smaller than the Zojirushi BB-HAC10 Home Bakery. This pint-sized machine makes one-pound loaves, and while its capacity is admittedly somewhat limited, the BB-HAC10 doesn’t disappoint when it comes to bread quality. The Home Bakery delivers the excellent results one would expect from the Zojirushi brand, and it can make most types of bread as well as jam and doughs for cake, pizza, cookies, and even pasta. One of the smallest bread makers on the market. 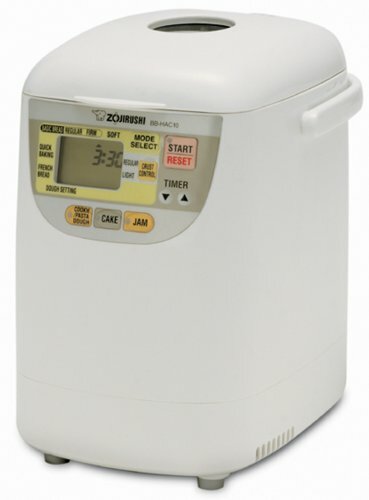 At 12 x 11 x 8 inches, the Zojirushi Home Bakery is among the smallest bread machines available today and is a great option for smaller kitchens. It also weighs just 13 pounds and comes with a carrying handle, so it’s not too much of a load to move around and store when need be. Evenly mixes and cooks tasty one-pound loaves. Zojirushi is known for making high-end appliances and the BB-HAC10 more than lives up to this pedigree. Although its one-pound pan is somewhat small, the Home Bakery delivers excellent and consistent results with tasty, evenly-cooked bread. Easy to use with good included instructions and recipes. The front-facing control panel won’t win any design contests, but it’s easy to read and use, and the machine is very simple to operate. It also comes with good instructions and a recipe booklet, making it easy for newbies to get started cooking right out of the box. Not as many settings as other machines. While it bakes great loaves, this machine only offers eight pre-programmed baking settings. It also lacks a dedicated gluten-free bread cycle. Nonetheless, it does handle most of the tasks one needs a bread maker to perform, including making jame and all types of dough. Very plain-looking design. The Home Bakery has a rather plain appearance with a basic white plastic housing and somewhat dated-looking control panel. This may not be important to many users, but others might expect better aesthetics from a machine that costs this much. Expensive given its limited capacity. At around $175, the Home Bakery is fairly costly, especially considering its limited one-pound capacity. Buyers will have to decide for themselves if the convenient size and Zojirushi’s brand-name pedigree are worth it. There are a number of reasons that people avoid gluten today, from diet restrictions to health issues like celiac disease. Store-brought gluten-free bread is not only expensive, but also often leaves much to be desired in the taste department, so making your own at home has clear advantages: it can save you money, homemade gluten-free bread will taste better and have an improved texture, and a good machine gives you complete control over the ingredients and cooking process. People who need to avoid gluten for health or other dietary reasons can benefit greatly from making their own bread at home, and the Cuisinart CBK-100 is one of the stand-out machines for this task. And while this bread maker turns out especially great-tasting gluten-free loaves, its results with making normal food are just as good with 12 different settings for breads, dough, and jam. Whether you need a dedicated gluten-free bread maker or just a high-quality model that can handle both normal and gluten-free recipes alike, the CBK-100 should be at the top of your list. Bakes excellent gluten-free bread. The Cuisinart CBK-100 is a big favorite among users who can’t handle gluten. While many newer machines have settings for this, the Cuisinart excels at consistently delivering soft, delicious bread that is far superior to (and less expensive than) store-bought gluten-free loaves. Sturdy and attractive metal construction. Cuisinart appliances tend to be build pretty tough, and this machine thankfully ditches the all-plastic housing for rugged and attractive metal. Not only does this model look great, it comes with a solid three-year warranty, and owners report years of use with no durability concerns. Excellent value. The CBK-100’s heavy construction, two-pound capacity, 12 settings, and gluten-free capabilities are made even more impressive when you consider that this bread maker costs less than $100. Its suite of features and build quality rival those of high-end machines that cost twice as much or more. Unique backup power feature protects against outages. One neat and unique feature on this unit is its backup power system. This ensures that, in the event of a power outage of up to 15 minutes, the bread machine will keep chugging and your bread won’t be ruined. Can’t use some settings in gluten-free mode. Although it makes excellent gluten-free bread, some of the settings can’t be used in this mode. Loaf size and crust color, for instance, cannot be set when making the gluten-free cycle. Large and heavy. The CBK-100 is a heavy-duty bread machine with a size and weight to match. Its 18 inches long and 15 inches high, so it’s going to take up some space on your counter, and at 22 pounds it’s a bit too bulky to move around much. Loud and annoying beeping. One common complaint with this model is its signal buzzer, which is notoriously loud, unnecessarily long (15 beeps when the bread is done), and impossible to adjust or deactivate. It’s loud enough to wake people, which can be a particular annoyance when using the delay timer to run the machine at night. Modern bread machines offer a variety settings for various types of bread, dough, and even jam, but some go above and beyond the call of duty. 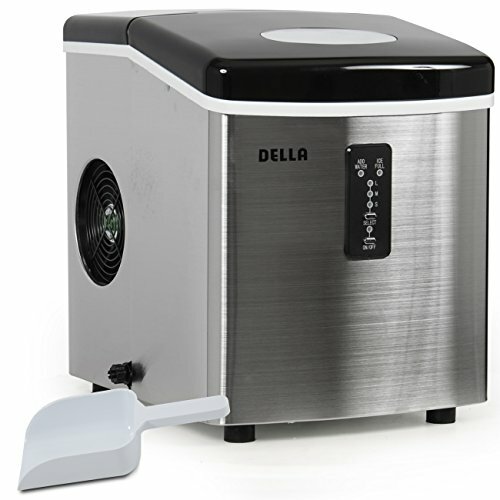 Along with cycles for preparing almost any type of bread or dough you can make in your kitchen, the most feature-rich bread makers also let you create custom programs so you can set baking times, temperatures, ingredients, and more, and then cook your saved recipes with the press of a button. Breville is a top name in the world of high-end kitchen appliances and experienced cooks who want the best (and are willing to pay for it) are probably already familiar with this brand. The BBM800XL Custom Loaf is a feature-rich bread machine with 13 settings and a large 2.5-pound capacity, but what sets this model apart is its customization. The Custom Loaf lets you create and save as many as nine of your own baking programs, giving you the ability to repeatedly cook up your favorite custom recipes without having to fuss around with the settings each time. Excellent features and configurability. The Breville Custom Loaf has 13 pre-set cycles for baking all types of bread and dough (including gluten-free and whole wheat settings), but where it really shines is its programming function that lets you input and save up to nine of your own personal recipes for later use. Well-designed and intuitive user interface. Users overwhelmingly agree that the BBM800XL boasts one of the best user interfaces of any bread machine. Its backlit LED display is bright and easy to read, while its intuitive controls don’t require you to spend an excessive amount of time cycling through options and settings. Built-in dispenser adds ingredients automatically. 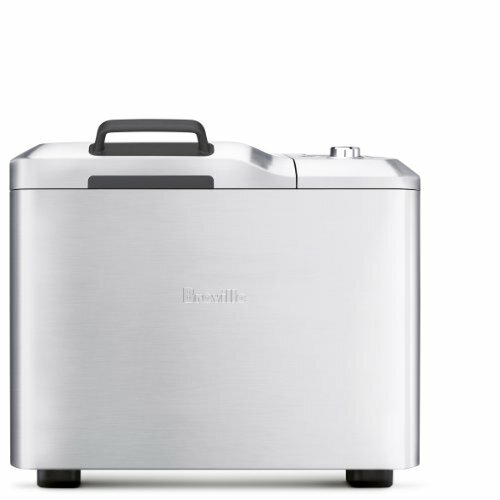 Most bread makers require you to pop the lid and add ingredients manually throughout the mixing process, but the Breville has an automatic dispenser that handles this task for you. Just add the mix, put the ingredients in the dispenser, then set it and forget it. Collapsing paddle reduces marks in loaf. The Breville Custom Loaf uses a unique folding paddle design which collapses after the kneading cycle. This greatly reduces the size of the mark left in the bottom of the finished loaf, as the upright paddles in other units leave unsightly holes in the bread. Well-build housing with a generous capacity. From its large stainless steel housing to its sleek lines, the BBM800XL’s design and build quality show. 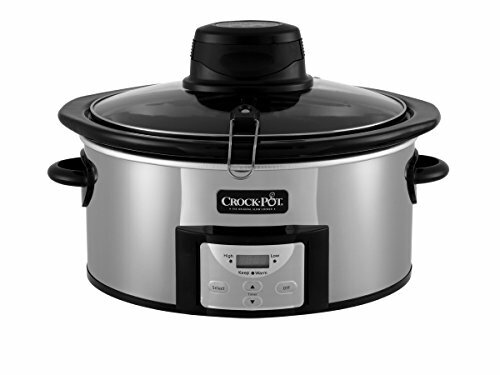 The extra-large capacity also allows you to make one- to 2.5-pound loaves so you can cook for yourself or for the whole family. Fairly costly. Like many products from Breville, the BBM800XL costs a pretty penny. It’s a high-end bread machine for busy home chefs, so its hefty price should come as no shock, but it boasts extremely high user satisfaction with the majority of owners saying that its quality, capabilities, and customization justify the price tag. Runs hot and loud. The Custom Loaf is a beefy machine which unfortunately runs hot and generates a considerable amount of noise. The metal exterior gets very warm to the touch during the baking process, and the pan has a tendency to knock around loudly when mixing heavy dough. Collapsible paddle requires some care. Although many owners appreciate the collapsible mixing paddle and most report no problems with it, a few note that its design – being more complicated than others – is more prone to breakage. It also requires more care when cleaning, as its connector shaft tends to get full of dough.